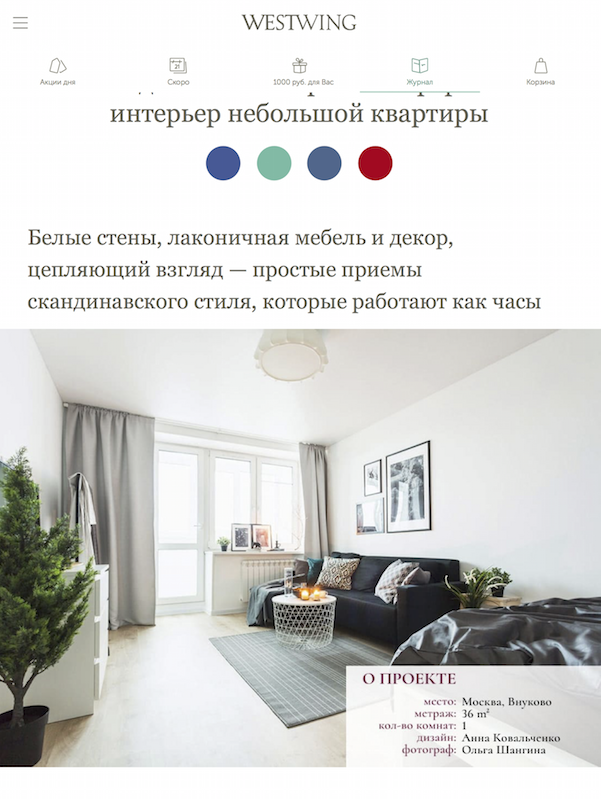 Another publication of the project Apartment in Vnukovo this month – this time in the magazine Westwing. The full text of the article is available on this link. Thanks to Westwing for their interest in our work!